Step aside Nostradamus. You too, Madame Pilar. We now have a new prognosticating prophet -- a beady-eyed, balding Babbleonian named Ted Baehr. Make that "Doctor" Ted Baehr -- the degree is always emphasized -- President of the Christian Film & Television Commission. "A cultural phenomenon is occurring, and on May 19, that phenomenon will thunder into movie theatres around the globe. 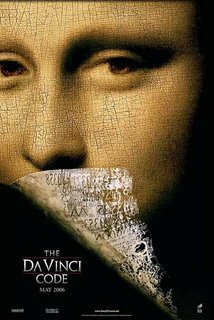 On that day, THE DA VINCI CODE movie will open. This fictional filth is not just a lie, this is deception aimed at condemning millions of people to eternal damnation. The book is full of pagan propaganda. Many Christians are already theologically malnourished; how will they be able to withstand the assault of distortions, lies and bigotry? We must break THE DA VINCI CODE!" We can't have millions condemed to eternal damnation now can we? How will Christians withstand the assault? Here's a thought -- maybe they can do so using the "f" word -- "FAITH". Did you ever think about that, DOCTOR Ted?